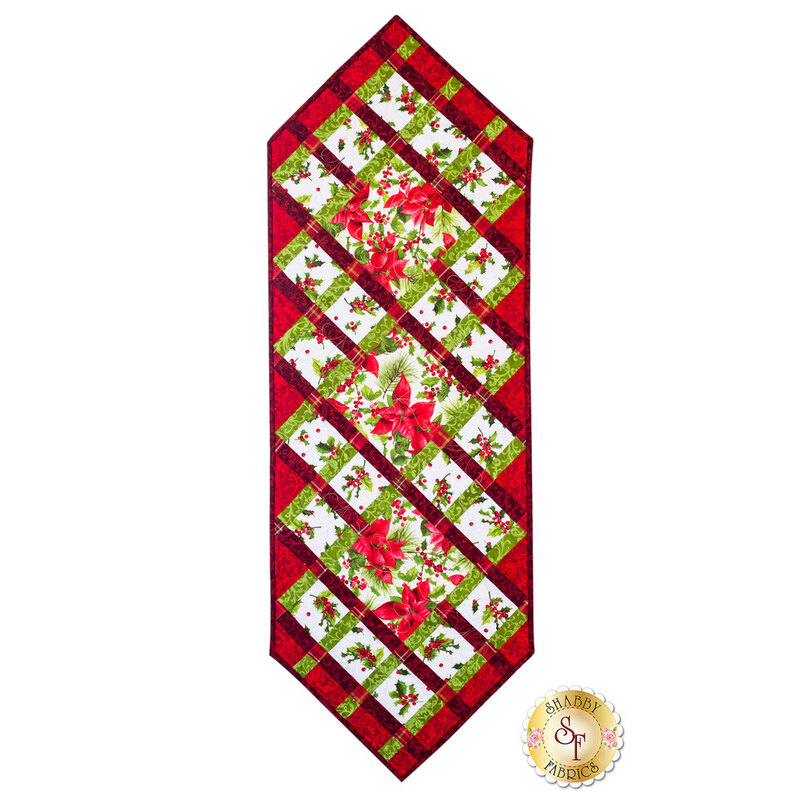 Decorate your table this holiday season with the beautiful Christmas Ribbons table runner! 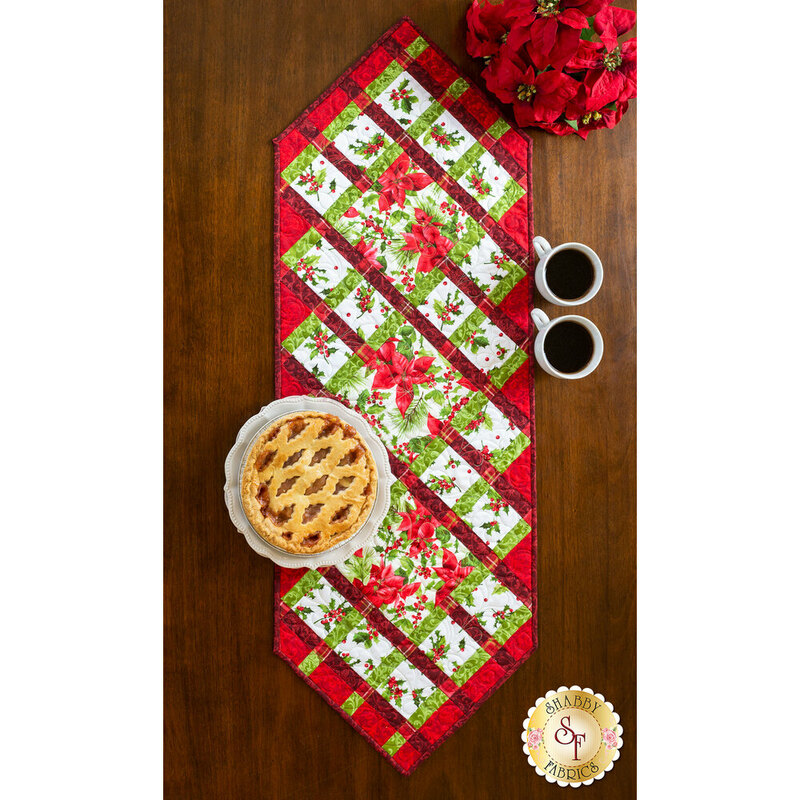 This festive table runner features bold, vibrant reds, gorgeous evergreens, and beautiful poinsettia prints. 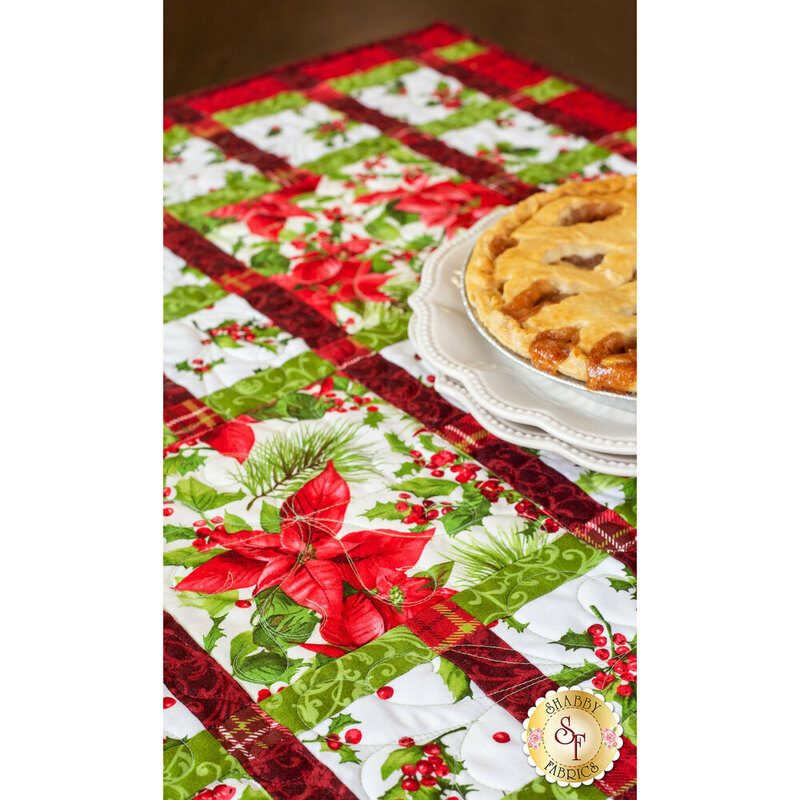 Table Runner measures approximately 17" x 51". All Top Fabrics, including binding and backing!